Science has shown that 8-16 weeks of age is a CRITICAL time in your pup’s development. Experiences during this period have to be carefully crafted so as to have a positive impact on your pup’s development. Whatever good or bad happenings your pup experiences during this period will be etched into who he will become. Remember…EXPOSURE alone isn’t socialization! Positive well-crafted exposure to a wide variety of novel experiences results in a dog that easily adjusts to new things throughout his or her life. A well-socialized dog isn’t frightened of something he or she may never have experienced previously. 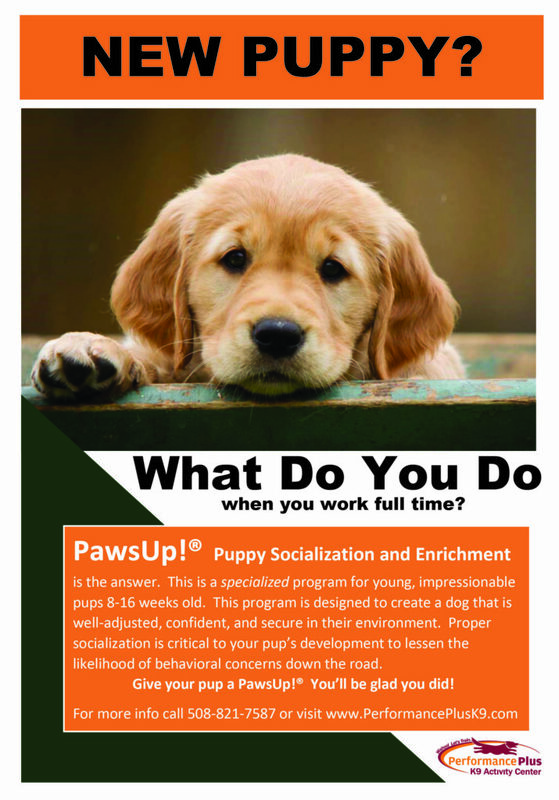 Our Puppy Programs are designed to help you develop a secure, confident, and self-assured dog.